To date, my restaurant reviews have not contained any weightings to differentiate what place are worth a special trip versus places that merely register as decent and so on. I could replicate the Michelin Guide and assign star ratings or the five star scale that Yelp and other services use. But then I would be constrained by a similar rating schema and not be able to define my exact feelings about a restaurant. So that got me thinking and Theresa said why don’t you rate restaurants the same way you rate poker hands? Now that is a great idea. Visiting a restaurant, you can rely on Yelp reviews, recommendations, etc, but like a poker hand, you will not know anything concrete until the hand plays out. 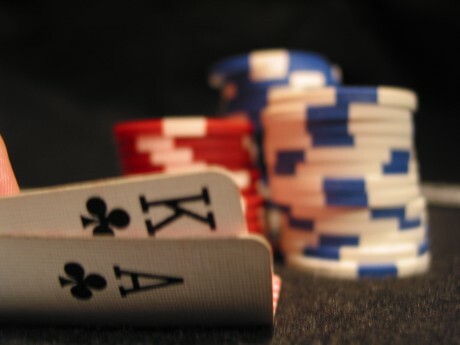 So my ratings will be based on how I as a poker player would act if I were to play the hand the restaurant dealt to me and if it is worth putting any or more money out there. Fold- Like a poker hand that has little to no potential to win the pot, this place should not be counted on for much. Even if it may look good, circumstances require that I release the hand, as it would require a lot of help to improve. Pass on this. It’s not worth the investment. Call – Experience delivered good and/or reliable results, with no real surprises. There maybe an occasional miss here and there, but worth investing again. I will be instituting these ratings in future restaurant blogs. As a reference, I have rated all the restaurants I have blogged about and categorized them below.